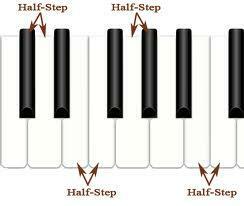 Intervals involved in the creation of a chromatic scale are all half steps ascending and descending. 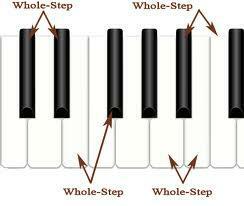 It doesn’t matter where you start on the chromatic scale since all tones are equal in distance from each other. For example starting on C and ending on C would be the C chromatic scale but you can just as easily start on D and end on D.
When ascending the scale, the sharp (#) version of the note(s) are used. 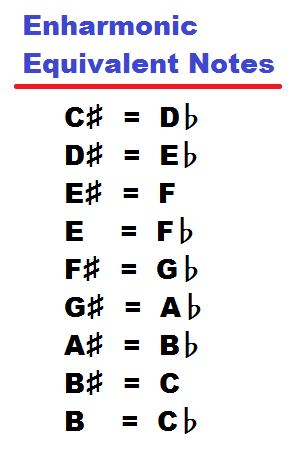 The natural half steps are E to F and B to C.
When descending the scale, the flat (b) version of the note(s) are used. 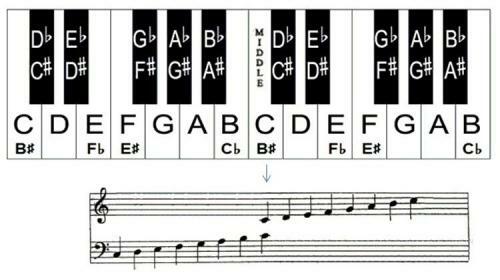 Figure: C Chromatic Scale with ascending # and descending b.
Enharmonic Equivalents are two tones that are written differently but sound the same. It’s the equivalent to the words: to, too and two or their, they’re or there.  “To” indicates direction. “Too” is possessive or inclusive. “Two” is a number. “Their” is possessive. “They’re” is a contraction of they are. “There” is a direction or preposition. Words that sound the same but have different spellings is common in the English Language. It’s the exact same way in music.